The next show will air on Sunday, July 20, 2014 from 11:00 PM – 1:00 AM Monday Eastern Standard Time on WBAI, 99.5 FM in the NYC metro area or streaming online at wbai.org. This installment of the program will be a memorial to bassist, composer, and former yodeling cowboy Charlie Haden, who died on July 11th. As a tribute to this great artist, we’re re-broadcasting our interview with Haden and wife/musical collaborator Ruth Cameron, originally aired on April 10, 2011. Born in Shenandoah, Iowa, Charlie Haden began his life in music almost immediately, singing on his parents’ country & western radio show at the tender age of 22 months. He started playing bass in his early teens and in 1957 left America’s heartland for Los Angeles, where he met and played with such legends as Art Pepper, Hampton Hawes, and Dexter Gordon. In 1959, Haden teamed with Ornette Coleman to form the saxophonist’s pioneering quartet (alongside trumpeter Don Cherry and drummer Billy Higgins). 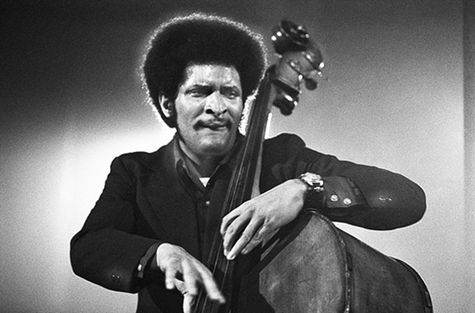 In addition to his still-influential work with Coleman, Haden also collaborated with a number of adventurous jazz giants, including John Coltrane, Archie Shepp, and Keith Jarrett, Pat Metheny. In 1969, Haden joined forces with pianist/composer Carla Bley, founding the Liberation Music Orchestra. The group’s self-titled debut is a true milestone of modern music, blending experimental big band jazz with the folk songs of the Spanish Civil War to create a powerfully original work of musical/political activism. An acoustic bassist of extraordinary gifts, Haden’s talents as a musician have been in constant demand by his fellow artists. As a result, he has collaborated with a genuinely stunning array of musicians, including Hank Jones, Don Cherry, Dewey Redman, Paul Motian, Jack DeJohnette, Michael Brecker, Kenny Barron, and Pat Metheny (with whom Haden shared a 1997 “Best Jazz Instrumental Individual/Small Group” Grammy® Award for their Beyond the Missouri Sky). Haden’s love of world music has also seen him teaming with a variety of diverse international players, including Brazilian guitarist Egberto Gismonti, Argentinean bandoneon master Dino Saluzzi, and Portuguese guitar giant Carlos Paredes. In addition, Haden has explored diverse streams of American popular music with both his acclaimed Quartet West, as well as on such recent collections as 2002’s inventive alliance with Michael Brecker, American Dreams. Haden was invited to establish the jazz studies program at California Institute of the Arts in 1982 and has earned countless honors from around the globe, including and the Los Angeles Jazz Society prize for “Jazz Educator of the Year”, two Grammy Awards (alongside a multitude of nominations), myriad Down Beat readers and critics poll winners, a Guggenheim fellowship, four NEA grants for composition, France’s Grand Prix Du Disque (Charles Cros) Award, Japan’s SWING Journal Gold, Silver and Bronze awards. Montreal Jazz Festival’s Miles Davis Award. On Friday, July 11, 2014, Charlie Haden left this world. He is survived by his wife Ruth Cameron, his four children, Josh, Tanya, Petra and Rachel, a brother, Carl, a sister, Mary, and three grandchildren. Tanya Haden is married to singer and actor Jack Black. We’re not aware of any NYC Metro area tributes or memorials to Haden at this time. Follow our “On the Bandstand” segment on air and on our blog and we’ll pass on info as we get it. Watch Haden and Pat Metheny perform live in 2008. Watch Haden conduct (and play with) the Liberation Music Orchestra in this 1987 performance with Dewey Redman live in Africa. The next show will air on Sunday Janury 19, 2014 from 11:00 PM – 1:00 AM Monday Eastern Standard Time on WBAI, 99.5 FM in the NYC metro area or streaming online at wbai.org. This installment of the program will feature an exclusive interview with trombonist, seashellist, composer and bassist Steve Turre. In 1972 Steve Turre‘s career picked up momentum when Ray Charles hired him to go on tour. A year later Turre’s mentor Woody Shaw brought him into Art Blakey’s Jazz Messengers. After his tenure with Blakey, Turre went on to work with a diverse list of musicians from the jazz, Latin, and pop worlds, including Dizzy Gillespie, McCoy Tyner, J.J. Johnson, Herbie Hancock, Lester Bowie, Tito Puente, Mongo Santamaria, Van Morrison, Pharoah Sanders, Horace Silver, Max Roach, and Rahsaan Roland Kirk. The latter introduced hum to the seashell as an instrument. Soon after that, while touring in Mexico City with Woody Shaw, Turre’s relatives informed him that his ancestors similarly played the shells. Since then, Turre has incorporated seashells into his diverse musical style. The next show will air on Sunday 12/11 at 11:00pm – Monday at 1:00am on WBAI, 99.5 FM in the NYC metro area or streaming online at wbai.org and feature bassist Christian McBride. Tune into this program to hear more about this hard-working bassist, composer and band leader, who was recently nominated for a Grammy for one of his latest two recordings, The Good Feeling. Beginning in 1989, this Philadelphia-born bassist moved to New York City to further his classical studies at the Juilliard School, only to be snatched up by alto saxophonist, Bobby Watson. Since then, McBride’s list of accomplishments have been nothing short of staggering. As a sideman in the jazz world alone, he’s worked with the best of the very best – Freddie Hubbard, Sonny Rollins, J.J. Johnson, Ray Brown, Milt Jackson, McCoy Tyner, Roy Haynes, Chick Corea, Herbie Hancock and Pat Metheny. In the R&B world, he’s not only played with, but also arranged for Isaac Hayes, Chaka Khan, Natalie Cole, Lalah Hathaway, and the one and only Godfather of Soul himself, James Brown. In the pop/rock world, he’s extensively collaborated with Sting, Carly Simon, Don Henley, and Bruce Hornsby. In the hip-hop/neo-soul world, he’s collaborated with the Roots, D’Angelo, and Queen Latifah. In many other specialty projects, he’s worked closely with opera legend Kathleen Battle, bass virtuoso Edgar Meyer, the Shanghai Quartet and the Sonus Quartet. Away from the bass, Christian has become quite an astute and respected spokesperson for the music. In 1997, he spoke on former President Bill Clinton’s town hall meeting “Racism in the Performing Arts”. In 2000, he was named Artistic Director of the Jazz Aspen Snowmass Summer Sessions. 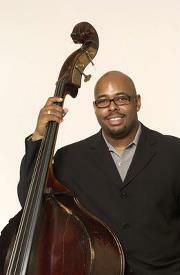 In 2005, he was officially named the co-director of the National Jazz Museum in Harlem. Also in 2005, he was named the second Creative Chair for Jazz of the Los Angeles Philharmonic Association.